Not everything I’ve written has an online link. Even the Waybackmachine wasn’t helpful in finding preserved URLs. But here are a few links I found that are still live. And I’ve uploaded a few via Google docs. It’s just a sampling of the work I’ve done during my career. Will the U.S. ever prosecute criminal bankers? ASSOCIATED PRESS/Former chairman of Anglo-Irish Bank Sean FitzPatrick is charged with conspiracy. 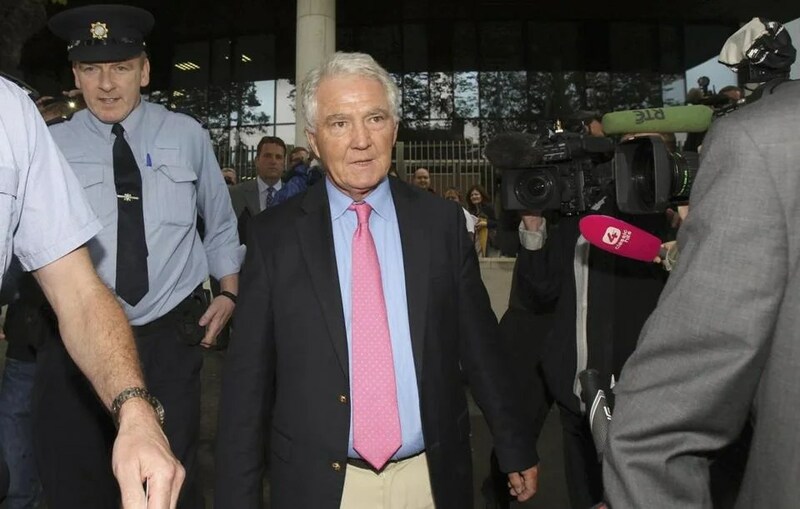 It was big news two weeks ago when investigators arrested Sean FitzPatrick, the former chairman of Anglo-Irish Bank, and announced new criminal charges against him. FitzPatrick has been widely cast as the man who nearly bankrupted Ireland, and his July 24 arrest adds 16 counts relating to a conspiracy to prop up the stock price of the now-defunct bank. Didn’t hear about it? I don’t think I would’ve, either, had I not been in Ireland when it happened. The US media barely covered it. But throughout the British Isles, it was front-page news, the headline story of TV news programs, all the talk on talk radio. A bank executive facing criminal charges! That night, I watched the evening news in the house of my Irish friend, Mary. As I was watching all I could think was: When are we in the United States going to start indicting the financial executives who caused our economy to crash? Just then, Mary interrupted my pie-in-the-sky thoughts by saying something about how Ireland was taking its cues from America’s get-tough stance on criminal bankers. I wish that were the case. So far, it’s just been talk. To this date, not one American bank executive has been arrested for his or her involvement in the global financial crisis. In Ireland, the collapse of Anglo-Irish Bank cost taxpayers there $36 billion, which is about $8,000 for every man, woman, and child in Ireland. When the bank collapsed — not least because of the manipulations at issue in the many charges that FitzPatrick faces — it put Ireland’s economy into a tailspin. You can read the rest of the column by clicking here. When figuring ways to shape public opinion, the first thing any savvy strategist does is craft phrases that will elicit a desired response. If you can control the words people use, you can frame the issue. In effect, you control the way people view it. That is exactly what is happening with the immigration debate. To avoid dealing with complex problems in our nation – crumbling public schools, senior citizens who have lost their pensions, a shrinking middle class – some politicians are taking the easy way out by focusing on undocumented immigrants. Those politicians are being goaded by nativists, racists and brainwashed people who are confused in our culture of fear. That shorthand term for “illegal immigrants” – which they use as a noun, making linguists cringe – is being used repeatedly by reactionary commentators and politicians in every venue available. Lily Bresee, a Glendale teenager who listens to indie rock, plays lacrosse and has a pierced lip, never paid attention to the topic of illegal immigration. “I wasn’t really interested,” the 17-year-old says. That was before last month, when her class from Jefferson County Open School went on a 2 ½- week trip to Teacapan, a small fishing village 80 miles south of Mazatlán in Mexico. Her host mother taught her how to make tortillas. She loved the warmth of the culture, and the close-knit families, but she noticed there weren’t a lot of young men. Nearly every family she met had at least one brother, uncle or father working in the United States. Some obtained work visas; others paid “coyotes” to sneak them across the border. The void of young men made Lily wonder about the cause. Looking to the sea, she found her answer. She watched as fishermen came back from their shrimp trawlers and fishing boats with little in their nets. A seaside village that had sustained itself for centuries had been depleted of shrimp, oyster, red snapper and corvina. Today, thanks to the likes of Lou Dobbs and others in the media with huge platforms legitimizing bigotry, the schema that’s locked into America’s mindset is that dysfunctional poor people are products of their own making. It’s an ideology that helps wipe the slate clean. So it’s no one’s fault that U.S. prisons are full of black and brown men from dysfunctional homes who never finished high school. My piece and video story on an Orthodox Jewish rabbi in Israel who marries gay men to lesbians. “Ex-gay?” Don’t believe the hype.